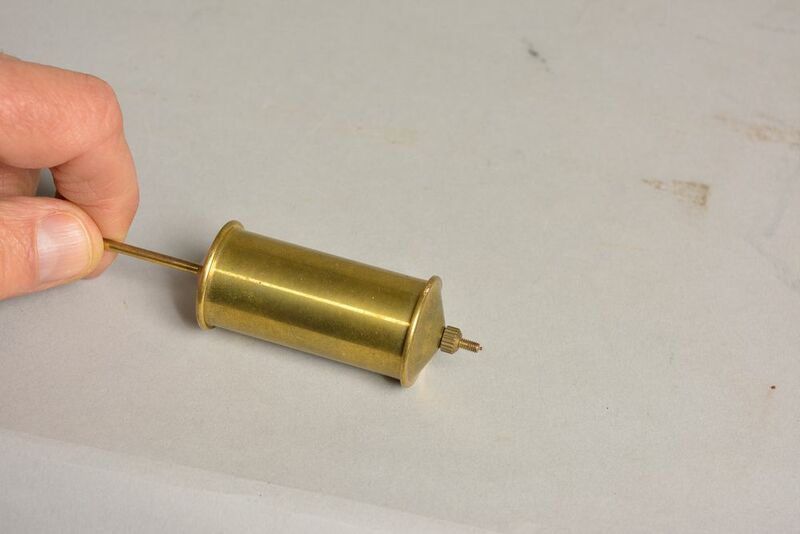 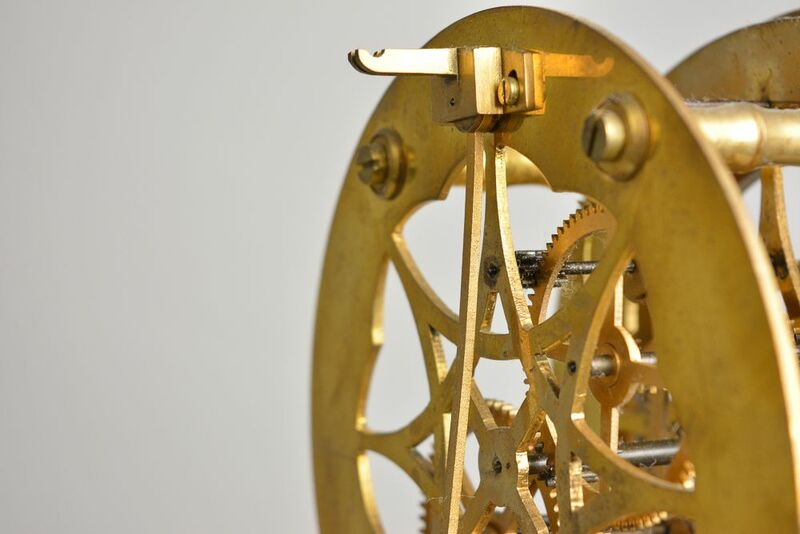 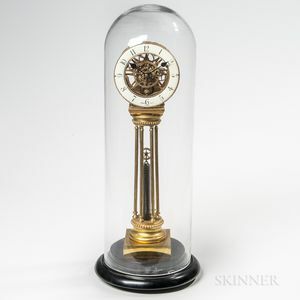 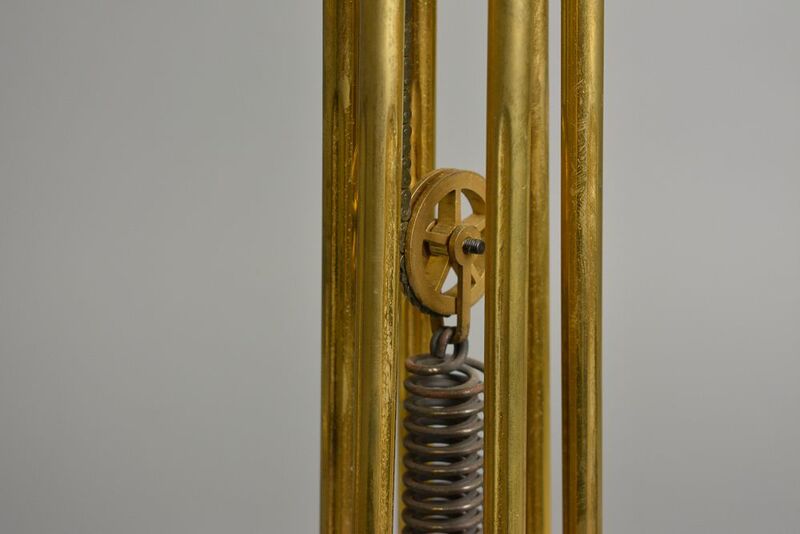 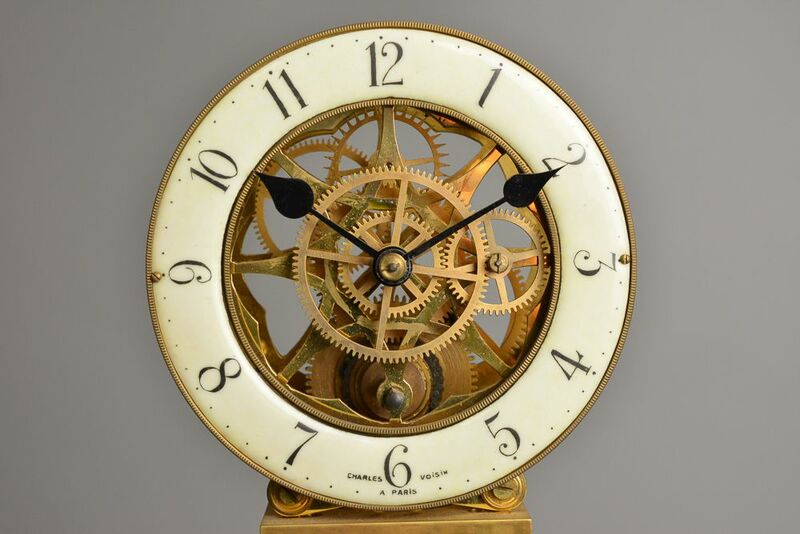 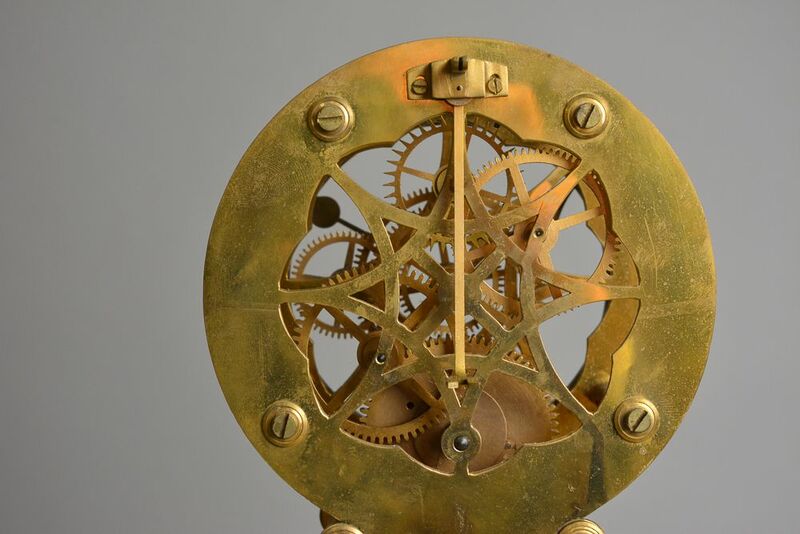 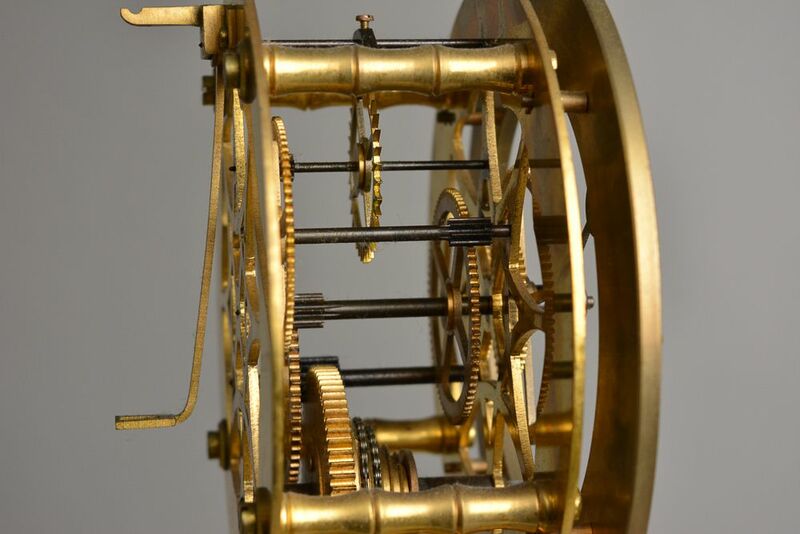 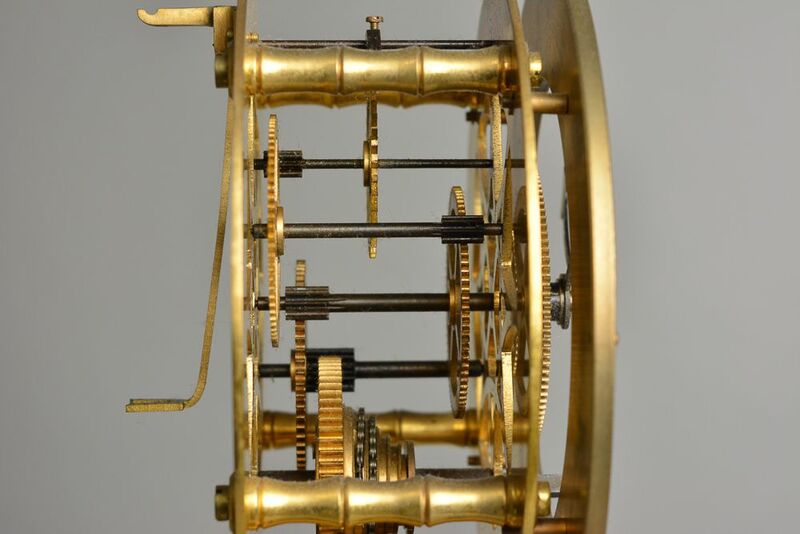 Charles Voisin Pillar Skeleton Clock, Paris, six brass columns support the time-only chain-fusee movement with skeletonized plates powered by a coil spring, and regulated by apendulum with a cylindrical bob, 5 1/2-in. 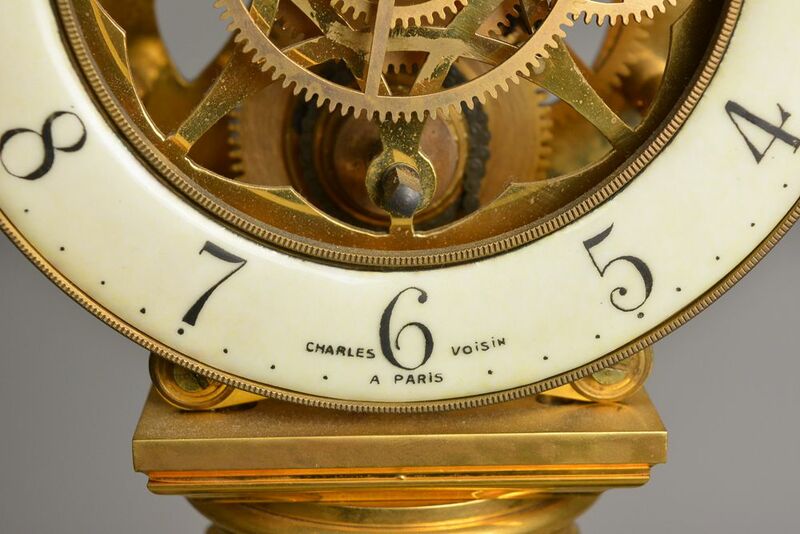 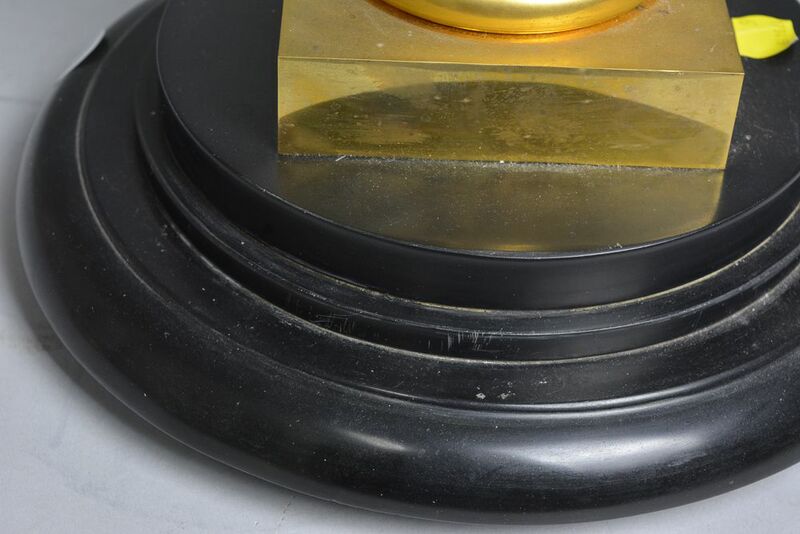 enameled dial marked "Charles Voisin, A Paris," all on a Belgian slate base, under a glass dome, ht. 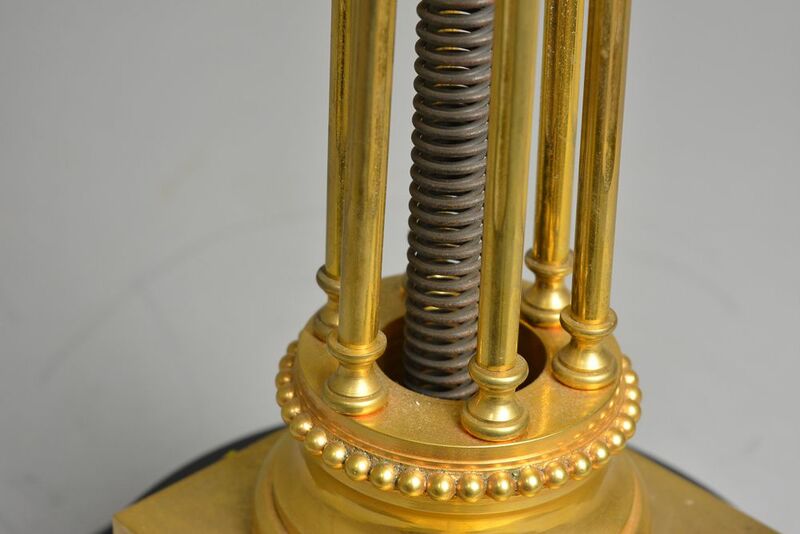 25 in.